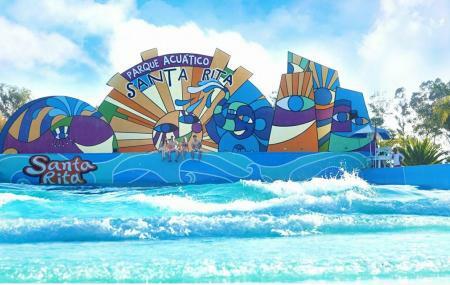 Find hotel near Parque Acuatico Santa Rit ..
To enjoy a refreshing splash with friends and family, you can plan a trip to the Parque Acuatico Santa Rita. It is a large water park with a lot of fun amenities. The creatively designed indoor and outdoor pools here are pretty clean and safe for children. There are waterslides too where you can whoosh off your tired self. There is also a wonderful resort in this cool and breezy park where you can relax. The restaurants here, offer delectable food and drinks at reasonable rates. Apart from these, the park also has a separate playground for children along with nice camping grounds. Have a nice day out here. You can add cozy hotels in AyotlÃÃƒÂ¡n like Rancho El Nacimiento. Explore the best AyotlÃÃƒÂ¡n vacation packages that will take to you important landmarks of the city! For getting in, check out how to reach AyotlÃÃƒÂ¡n. Love this? Explore the entire list of places to visit in Ayotlán before you plan your trip. Fancy a good night's sleep after a tiring day? Check out where to stay in Ayotlán and book an accommodation of your choice. Lots of pools and eating areas. Great views. Lots of fun!